Free Estimates: We can give free written estimates on major works. Major works include:. 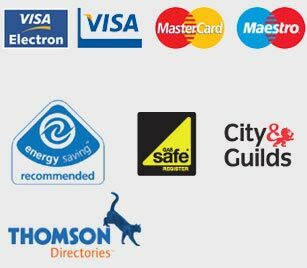 boiler swaps and new installations, bathroom refurbishments, complete rewires and new fuse board installations. These estimates are valid for 3 months from the date of the estimation. Fixed Pricing: In the vast majority of cases, after a full evaluation has been performed, our engineer will give you a fixed price, upfront, to complete the job in hand. This is our way of allowing our customers the peace of mind of knowing the exact cost of the job. Unlike so many other companies out there, with Homecure there will never be any unwelcome additions tacked on to the end of your bill. What we say is what we charge, and we always say it in advance! Parking and congestion charge may be added if applicable. Call 0203 504 4000 now for more information or to book a job today.